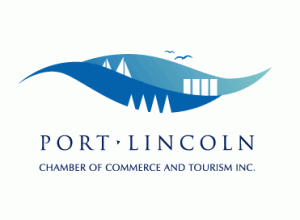 The Port Lincoln Chamber of Commerce and Tourism is pleased to announce the winners of the 2016 Business Excellence Awards. Winners and Commendations were announced recently at the Beyond Bank Business Excellence Awards Dinner held at the Ravendale Sporting Complex. The 180+ people in attendance on the night were enthralled by the story and motivation provided by our guest speaker, Mr Anthony Kittel, Director of Redarc Electronics. The first class meal provided by Kris Bunder and his team was appreciated by all and the Master of Ceremonies, Emma Pedler was her usual entertaining self. Overall, this was a highly successful evening and a great way to celebrate the success of the local business community. Many thanks to all the sponsors of the awards and in particular our Gold sponsor Beyond Bank; Maree Easton for her photography; Ravendale Community Club for their service throughout the night; Woof Design for their amazing work on tickets, nomination forms and certificates; Port Lincoln Hotel for their guest room; Qantaslink for the airfares; Emma Pedler for being our MC on the night; Kris Bunder for the meal and to everyone else who made the night such a success. We look forward to conducting the event again next year.